Home About Why Am I Shaking? You are in class, following along, when all of a sudden, seemingly out of nowhere, you begin to feel a strange vibration through your leg. You may be thinking, “Oh no! This can’t be good”. But really, there is nothing wrong with getting that shaky feeling while at the barre. In fact, that shaking sensation is something many bare lovers want out of their workout. 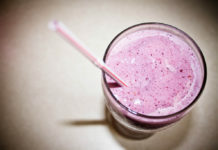 For most instances, the shake is part of muscle fatigue. 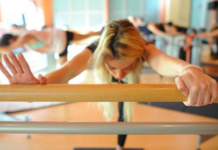 In many barre class programs, it is a goal to create muscle fatigue that in turns help our bodies work to get stronger. The only reason to be alarmed is if you do this frequently perform challenging barre workouts without incorporating rest days into your fitness schedule. You want to give your body a chance to recover! For the most part, a little shaking it a good thing though. To make sure your shakes are not a result of anything beyond working the muscles hard, be sure to drink adequate amounts of water to stay hydrated, make sure you are not overworking one muscle group to avoid injury, and know when to back off the gas during a workout too. In general though, do not worry about the shaking, enjoy the workout that is causing your body to quake, and get ready to constantly improve your fitness level with the new challenges you are exposing your body to.